Goodwood - Video – Can a 2.2-Tonne Range Rover Cross A Paper Bridge? Video – Can a 2.2-Tonne Range Rover Cross A Paper Bridge? Video – Can a 2.2‑Tonne Range Rover Cross A Paper Bridge? Range Rovers have crossed many things in their 45 years – from the Darien Gap to the Sahara Desert and even Goodwood’s runways! – but there’s always something Britain’s luxury off-road icon hasn’t done, and now Land Rover has found it. As the bridge’s designer, the installation artist Steve Messam, recounts, the bridge’s arch is just paper – no glue or screws required – with the sheets stacked between two wooden abutments. ‘It was a daunting task,’ he says. Well, yes, it would be with each sheet of paper tensioned for a mind boggling seven tonnes of load. The freestanding arch is 3.4 metres high, spans 5m and took three days to build. 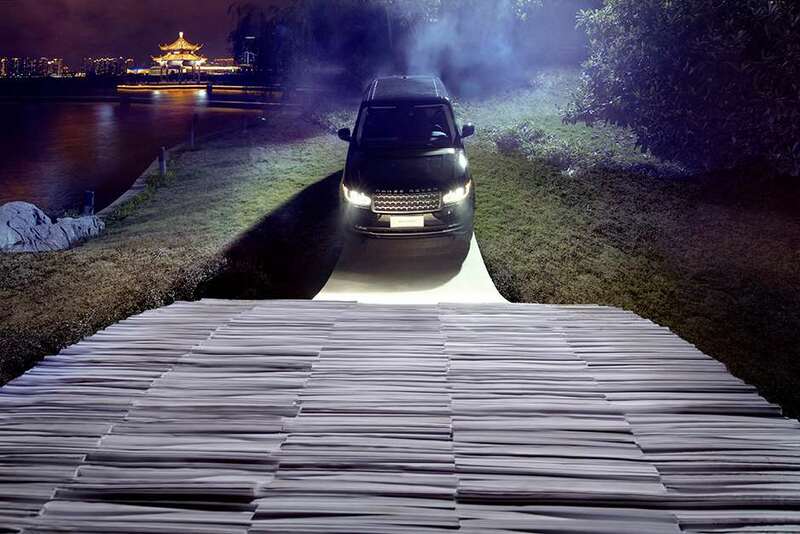 The spectacular stunt took place in the country where paper was invented, as a warm-up act to the Guangzhou Motor Show and as part of the Range Rover’s 45th birthday celebrations. The paper, though, was supplied by specialist British manufacturer James Cropper PLC, a family firm in the Lake District that was established in 1845. Forty-five years ago nothing like the Range Rover had been attempted either and look at it now! Land Rover launches support network for golden oldies - and plans Heritage driving experiences too!